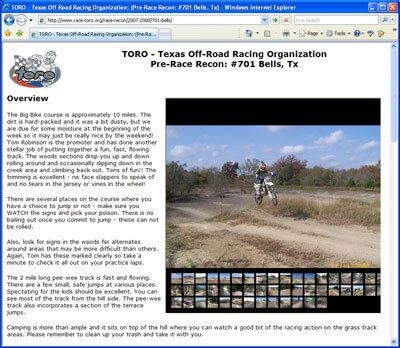 Pre-Race recon for the last race of the 2007-2008 TORO motorcycle racing season. The pricing model for the company I work for is very complex. Even the sales people have a difficult time giving customers accurate pricing. 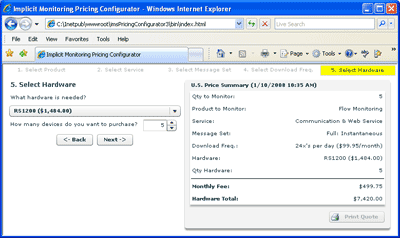 I put together a pricing configurator in Flex for the sales force and customers to easily configure their products and view accurate pricing. 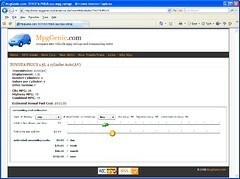 The application is driven off a master pricing xml file and is flexible to handle many different pricing options. The cost of fuel is getting really bad! I am beginning to wonder if I would actually save money by trading in my old gas guzzling 1996 Explorer with the V8 for a more economical new car. If gas prices get high enough the fuel savings would be enough to make the payments on a new car. So, to make the comparison easy I created a flex app to do all the calculations for me. I thought other people might find it useful so I made a site for the application (http://www.MpgGenie.com). The database includes over 1000 2008 model vehicles with detailed fuel efficiency data to compare. If I were to get a Toyota Prius and gas goes over $4/gallon, the savings in fuel each month would pay for the new car payments! It is getting very tempting……. I have been working on a real-time monitoring application in Flex. 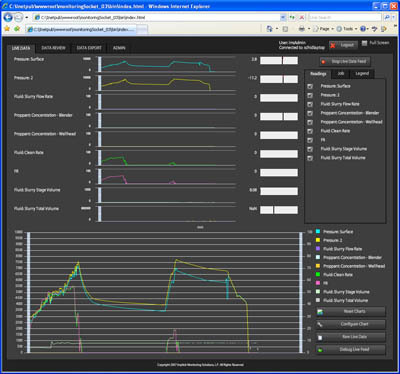 It connects to a server through a socket connection and receives 1 second readings of various types and plots them on graphs. The application is under 500k and the 1 second readings are very small. Flex is a perfect platform for this type of application. The mt bike flex trail map is finally live! There are currently 7 trails listed. We should be able to add more soon. Most of the trails have dried up now. The trails around Grapevine are still under water though. I have the process to add new trails down now. It is not a quick or easy process but at least it is a process that works!